These Mainstays 15-Piece Bath Sets, normally $18.88-$24, drop to $10.65-$11.65 each at Walmart.com. Shipping adds $5.99 or is free with in-store pickup. 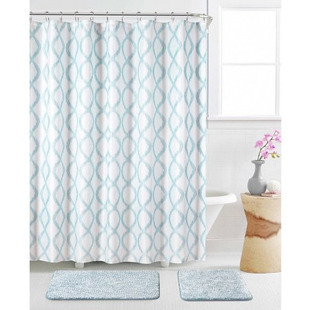 Choose from five options in this price range including the pictured Mercer Seafoam Bath Set, which drops from $18.88 to $10.65. It includes a shower curtain, 12 hooks, and a 2-piece mat set.